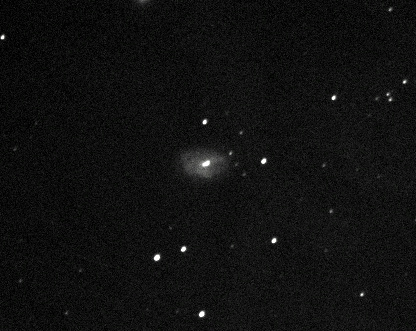 This 35-second-long image of the Type Ib supernova SN 2012au in the core of the twelfth-magnitude spiral galaxy NGC 4790 in Virgo was captured remotely at 2:02 UT on 2012/4/24 using the Bradford Robotic Telescope's 14" f/11 Celestron C14 SCT and FLI MicroLine camera located on Tenerife in the Canary Islands. A Celestron focal reducer yielding an effective focal length of 1877mm at f/5.3 was employed. Browse http://www.rochesterastronomy.org/snimages/ for additional information on SN 2012au.